Both doors are normally unlocked. Push to lock switch (mounted inside) will lock both doors. If a door remained open, the doors will not lock until both doors are closed. Doors must have electrical mortise or cylindrical locks or strike – no Maglock allowed. Pulling door handle lever from inside will open that door and will automatically unlock both doors. 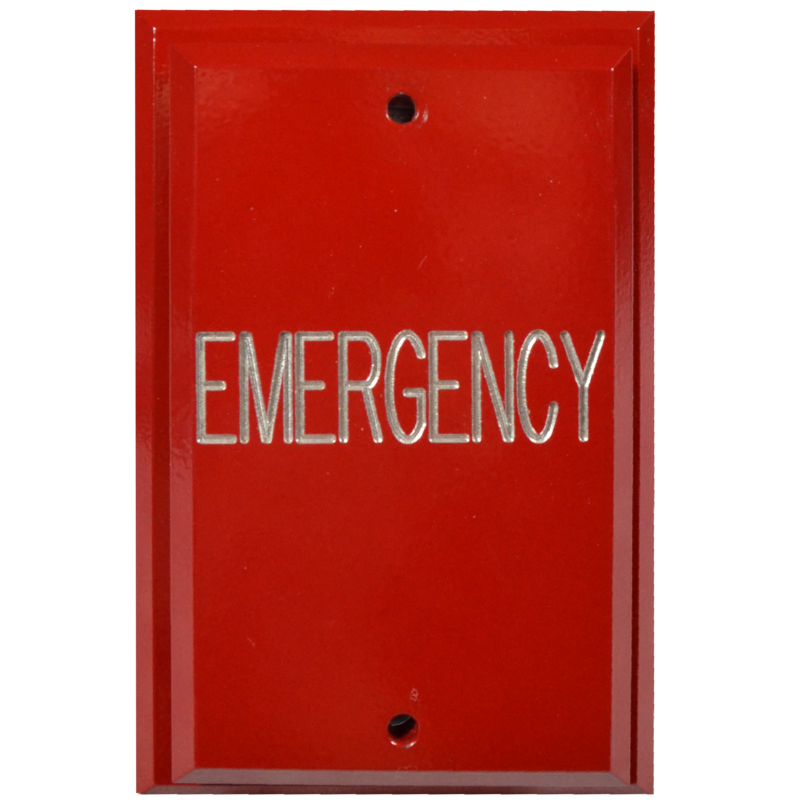 Emergency push switches (outside mount) will unlock both doors and keep doors unlocked until one of the doors is open. The system will then reset. T108 switch is mounted inside the room. 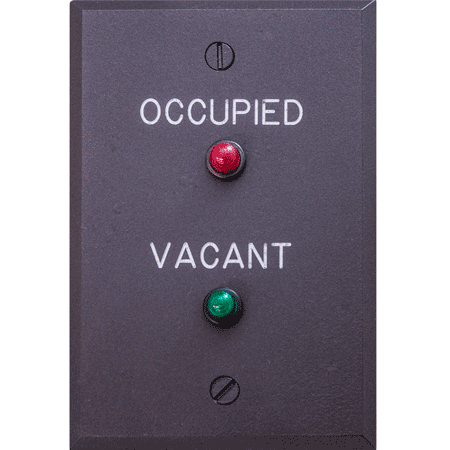 Emergency switches F106-E15 are mounted outside the doors and one is mounted inside the room. 375-L2 are mounted outside the doors and one is mounted inside the room. 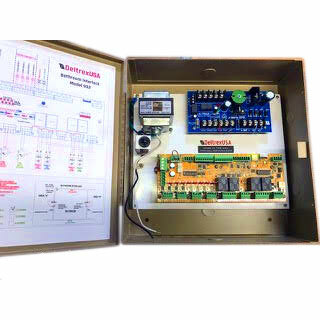 902A power supply includes a fire panel emergency switch interface module (ERI). No need for additional specification. 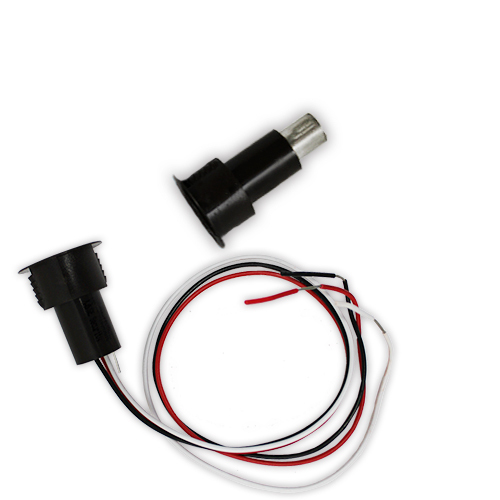 Use electric strike (Deltrex #600 fail-safe) instead of maglocks. Use electric lock instead of maglock, by others. 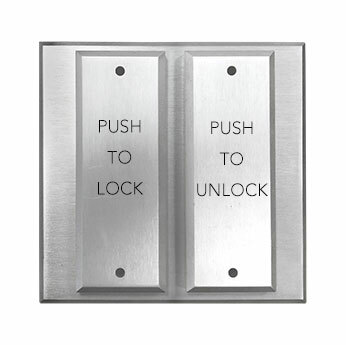 Use F106-E08 (push to lock) and F106-E09 (push to unlock).